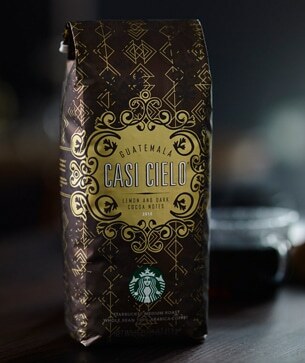 The words casi cielo mean “almost heaven.” And while you’ve never had to go that far to experience this ineffably rich coffee, there was a time when you could only enjoy it in some of the country’s most exclusive restaurants. You see, we originally developed this coffee to be the ultimate “fine-dining” experience, working with the chefs at Seattle’s legendary Canlis restaurant. Together, we created a remarkable coffee with a depth and versatility perfect for a variety of gourmet entrees and desserts – particularly those with savory herbs or cheeses, rich chocolate or berries. For years, we limited this coffee to just a few, choice establishments. But the clamor for Guatemala Casi Cielo™ was so relentless, and the coffee so good, that eventually we capitulated; we had to share it. So, for a short time every year, we make this culinary masterpiece available for your own special occasions at home – no reservations required. A five-course meal and stimulating dinner conversation.